Information on the different causes for violence in dementia patients, and tips on how to better deal with the aggressive behavior. Violent behavior among dementia patients can be frightening and frustrating for care providers. As caregivers start to feel “burnt out," they may also lose empathy for the patient. Recognizing and treating violent behavior can help improve quality of life for patients, as well as people close to them. Verbal aggression, threats and physical violence are the most frequently reported behavior disturbances, according to American Family Physician. Dementia patients can't always be clear about what they need, what they're feeling or what may be bothering them. Taking the time to listen and assess the situation can help pinpoint the source of anxiety and intent of the behavior. Is there a pattern to the behavior? Has anything changed in the patient's health, environment, treatment plan, or daily routine? Ask these kinds of questions when determining the cause of violent behavior and remember: Don't take it personally. 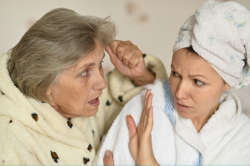 It may seem like the dementia patient is attacking you, but really they are anxious and you happen to be around. 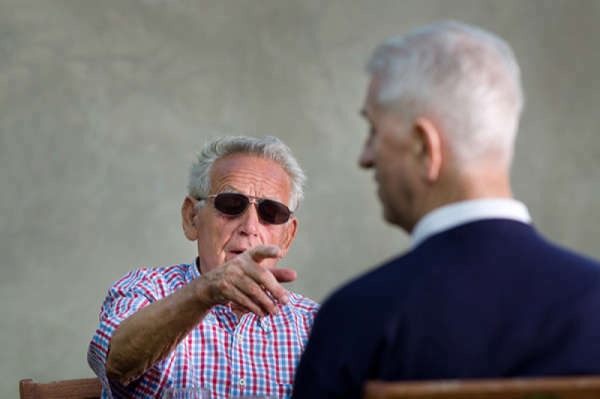 When behavioral disturbances occur, give the person space; you may need to leave the room until you're both calm, according to the Alzheimer's Society. Showing your anxiety may make the dementia patient more agitated, so make sure you can approach them calmly. Tell the person you can see they're upset. The type of intervention depends on the individual and the cause of the violent behavior, according to The Primary Care Companion to the Journal of Clinical Psychiatry. The main objective is to calm them down – not to restrain them or get them more riled up. Calming music: Patients can respond well to familiar, relaxing music. Put on one of their favorite tunes and reassure them. Provide meaningful activities: Aggression can come from boredom. Make sure they have something to keep them busy, even if it's as simple as folding laundry or putting books on a shelf. Also make sure that any dangerous items are kept out of sight and out of reach. Ask close-ended questions: Sometimes giving dementia patients decision-making power can overwhelm them. Instead of asking, "What would you like for lunch? '"ask "Would you like lunch now?'" Simple, yes or no questions are less stressful to answer. Let them cuddle with a pet: Household pets can provide companionship when a patient feels lonely, so snuggling up with a furry friend may be a great way to keep their hands busy. Be flexible: If the violent behavior occurs when you're trying to get the patient to do a particular task, such as: bathing, eating or changing his clothes, try again later. Wait until he's calm and ready. Remind them of things they enjoy: Depression is a common symptom of dementia that can lead to aggression. Talking in a soothing voice about things they enjoy can help improve a dementia patient's outlook. Show them pictures or videos of loved ones: Lonely dementia patients may be missing their friends and family. Showing them photos, videos or playing recordings of the people they're closest to can help them recall positive memories. Take a nap: Sleep disturbances are a common symptom of dementia and can worsen mood. Resting in the afternoon can help them complete evening activities. Use of melatonin, increased physical activity and bright light therapy can also help improve sleep patterns. While antipsychotics can suppress violent behavior, they won't help determine the cause; therefore especially among patients in early stages of the condition, the use of antipsychotics is not recommended.